You can't fight crime without the proper headgear! Cover your dome with this official baseball cap, based on director Kevin Smith's crime-fighting duo, Bluntman and Chronic! 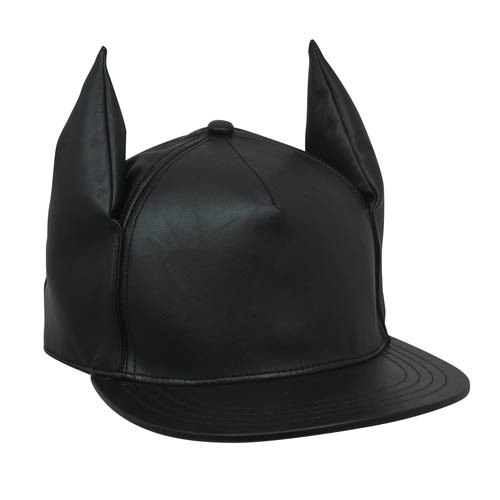 This black, faux-leather baseball cap features Bluntman's trademark ears and has an adjustable strap, so one size fits all. It may not offer much in the way of protection while battling evil, but dang if it doesn't make you look good while doing it! Ages 12 and up.